Chant is a freelance Intelligence operative. The name is actually a nickname or covername for a man whose real name is John Sinclair. During the Vietnam War he worked far behind enemy lines, especially Laos, working with the CIA to fight the Pathet Lao. He was incredibly good at his job. His marksman skills were top-notch. His martial arts ability were tremendous, having grown up in Japan and learned from a master. His instincts were far better than most. During the several years he worked in Southeast Asia, he was awarded two Medals of Honor for actions not described in the books. Then he learned something about his CIA controller, something that person didn't want known and something Chant didn't want to know. And he promptly disappeared. For the past twenty years, prior to the start of this series, Chant, as he was nicknamed in Vietnam, has been on the CIA's most wanted list. For the past ten, he has headlined it. But during that time he has stayed quite busy doing jobs all around the world, helping those who need help and punishing those he feels need it. Once in a while, that means crossing the Agency and one in a while that means helping them. Chant is a master of disguise and a con artist at heart. He remains as active as he does because he loves the action and the excitement and would feel dead without it. According to one synopsis, "in every government there's at least one person trying to buy him and another trying to kill him. Neither can be done." Note: According to the author's website, he had been contracted to create an action-adventure series using a house name, one that other authors could be brought in to write later. 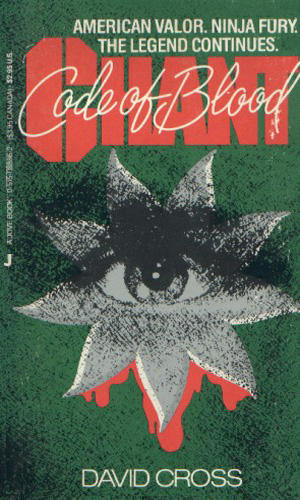 He was not pleased with the idea but the money was handy and he wrote two books about a character named Chant Kendry. The publisher was aghast at the books and rejected them because they were too much of a thinking-man's adventures and not what they wanted. 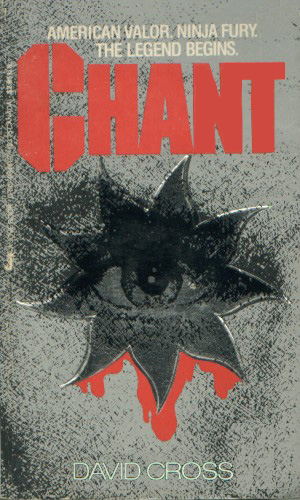 So the author changed the name to Chant Sinclair and tried again with this series, keeping the only thing the editor liked which was the name Chant. The publisher was still not happy with these three books but since advance money had been paid, he took them. They did not sell well so no more books were written. 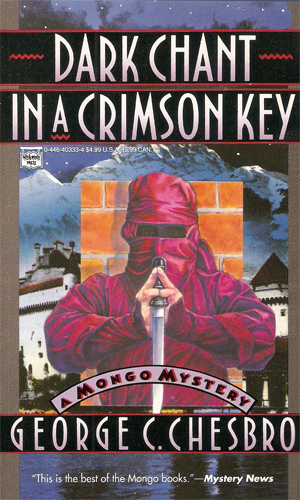 Note: The author, George Chesbro, had a far more successful mystery series about a college professor, martial arts expert, private investigating dwarf named Dr. Robert Frederickson, known to his friends by the name of Mongo from the years he worked in the circus. In the 11th book in the Mongo series, Mongo is asked to help hunt down a man who supposedly conned a wealthy man out of ten million dollars. That man was Chant and Mongo goes on the hunt not only for this dangerous criminal but for the truth behind the horrid rumors of what a man like Chant did when angered. 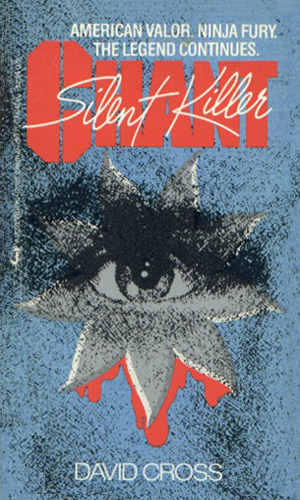 This book was not in the Chant series originally, obviously, but deserves listing here. The people he grew to love in Laos have seen many of their numbers come to America for a new life away from the communists. Many ended up in a small county in the south run by a very nasty family, treated as slaves with far worse happening on a regular basis. Chant has plans to stop them. An old friend, one of the few at the Agency he still liked, had been sent to a Caribbean nation to investigate unsettling rumors. He was horrifically tortured and killed when caught. Now Chant is asked to find who did it and get the revenge that is needed. When several ex-convicts from America separately head to Europe to assassinate powerful government officials they have never met, the reasons are a mystery and the call for action is loud. Answering the call is Chant. The part-time investigator Dr. Frederickson, aka Mongo, is hired to track down a conman and recover a stolen ten million dollars. As he delves into the facts on the culprit named Chant, he gets a different picture than he expected. The incredibly gifted George Chesbro, creator of the famous Mongo detective series, is the real name of David Cross. The same skill that made that series a hit makes this one a blast to read. It is an action-adventure series like the publisher asked for but it is also much more. It is a great example of what comes from a highly gifted author when asked to "dumb down" for the masses. Chant isn't at the same level as Mongo but it is so much better than schlock like The Marksman and such. I can see why the publisher was disappointed. It was better than he wanted. Which makes reading them so entertaining. You know they were meant to be "Bang! the gun spat a bullet" and there is that in the books but there is real prose and real thinking and, gasp!, real writing, too.